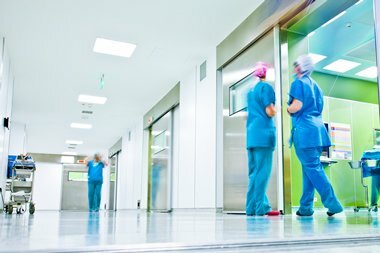 Maintaining safe water systems within hospitals and other healthcare settings is vitally important. The UK’s Department of Health has released the Health Technical Memorandum (HTM 04-01) that provides essential updates to the earlier version of the document. Originally published in 2006, the updated HTM “safe water in healthcare premises” has been altered to provide a more streamlined source of information, advice, and support on water safety issues. Anyone with an interest in, or responsibility for, maintaining and managing water systems in hospitals or other healthcare settings should read the updated version as a matter of priority. What does HTM 04-01 cover? HTM 04-01 covers every aspect of water systems in relation to their safe operation. This goes from design and installation, through to daily maintenance and managing the procedures required to keep the water systems safe. Part A: design, installation and commissioning. Part C: Pseudomonas aeruginosa – advice for augmented care units. This part focuses on specific additional measures that should be taken to control and minimise the risk of Pseudomonas aeruginosa in augmented care units. Supplement: performance specification D 08 – thermostatic mixing valves (healthcare premises). Many people have heard of the legionella bacteria, and the HTM04-01 document focuses on providing advice to ensure such bacteria are safely controlled. Other bacteria can also cause disease and illness via water-borne sources, including Stenotrophomonas maltophilia and Pseudomonas aeruginosa. Much of the information in the newly-updated technical memorandum was available in the original document. However, the content has been updated and overhauled to provide information that is far easier to understand. Importantly, the updated HTM also covers Water Safety Groups (referred to as WSG) and Water Safety Plans (WSP). Every healthcare setting is now required to cover both these elements, which are detailed in the updated version. Clarity is an obvious upgrade to the new document – something that will be, ironically, very clear to those who are familiar with the previous version. This should make it easier and less daunting for those who are new to the topic to meet and exceed their legal requirements in maintaining any water system in a hospital or healthcare setting. What about the need for water safety risk assessments? Information on the all-important water safety risk assessments, what should be done, and how often, is also given. Thus, there can surely be little doubt as to what is required, since the report makes all requirements much clearer than they perhaps were before. Regardless of the processes currently used to maintain a safe water system in this setting, it is vital for interested parties and those responsible for maintenance and health and safety to review the updated HTM 04-01. This should ensure any changes required will be made, as well as providing a good opportunity to ensure full compliance with the law as it stands today.